The Kansas District Retreat Center is a beautiful facility in central Kansas near Lake Herington. 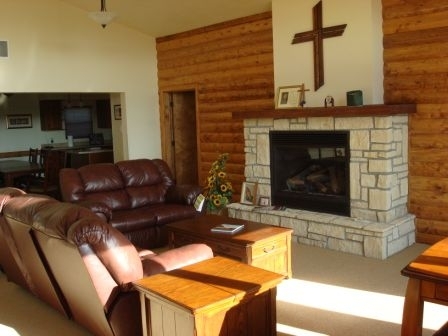 The primary purpose of the Retreat Center is to provide a relaxing and peaceful atmosphere where Kansas District church workers and congregation members can rest and reconnect with God and their family. 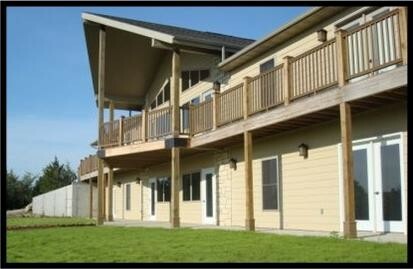 This 3,000 square foot center is very versatile, with enough private space for rest and enough open space for family. 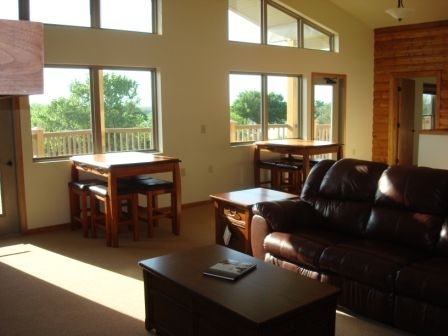 Whether you’re looking for a place to get away by yourself or are planning a family reunion or church staff/youth retreat, the Retreat Center can accommodate your needs. Garden Suite – two bedrooms, one with queen bed and one with trundle bed (one full bed, two twin beds), two full bathrooms (one with garden tub, one with shower), and sitting room (queen pull out couch, swivel rocker, baby bed). 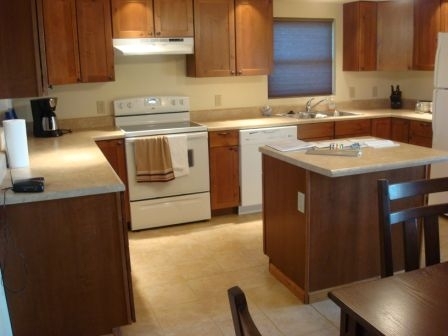 For rates and reservations, contact us at 785-380-8291 or retreathouseherington@gmail.com. You can also make an inquiry using the form above. When you rent the Retreat Center, you will have complete access to the kitchen, great room, laundry room, prayer room, library, and deck. All bed and bath linens are provided. We do have a cleaning service, so everything will be clean when you arrive and will be cleaned for you after you leave. 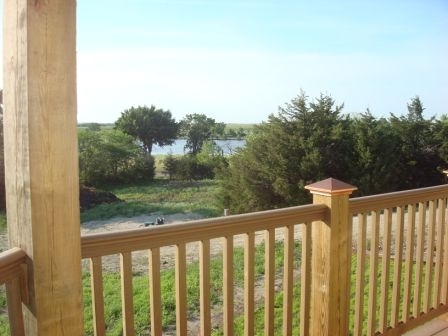 The rental fee and a refundable deposit are due at the time of reservation. The deposit will be refunded after the building is assessed. Cancellations are allowed, but in lieu of a refund, you will be able to schedule the same number of days at a future date. Cancellations without notice will result in a forfeiture of the deposit.